Country Inn and Suites by Carlson enjoys a tranquil and peaceful location in the panoramic countryside. The hotel is away from the crowded city yet fully equipped with all the contemporary comforts and conveniences. 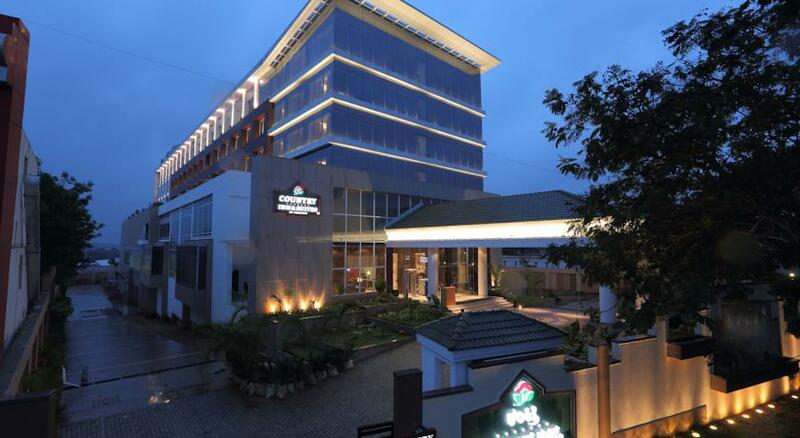 The hotel is almost 25 km from the Mysore Airport while the railway station is just 9 km away. 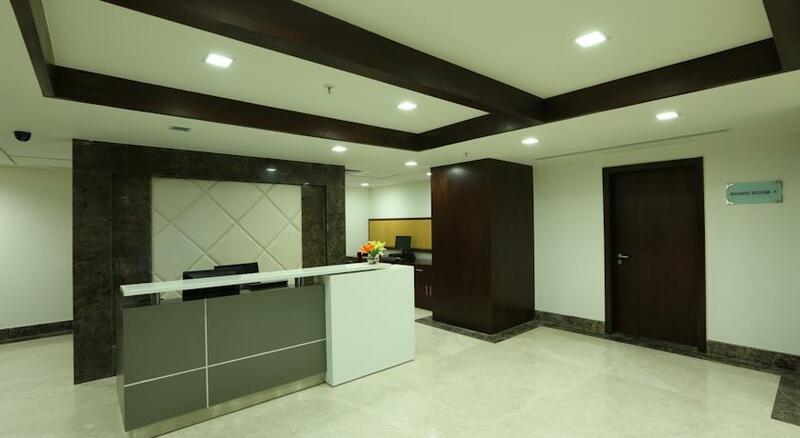 The various amenities and services provided by the hotel comprise of travel desk, currency exchange, conference and business facilities, laundry and dry cleaning services, doctor on call, concierge, valet parking and round the clock front desk. The airport and railway station transfer is applicable only for bookings in Club Rooms, Junior Suites and Executive Suite for a surcharge. 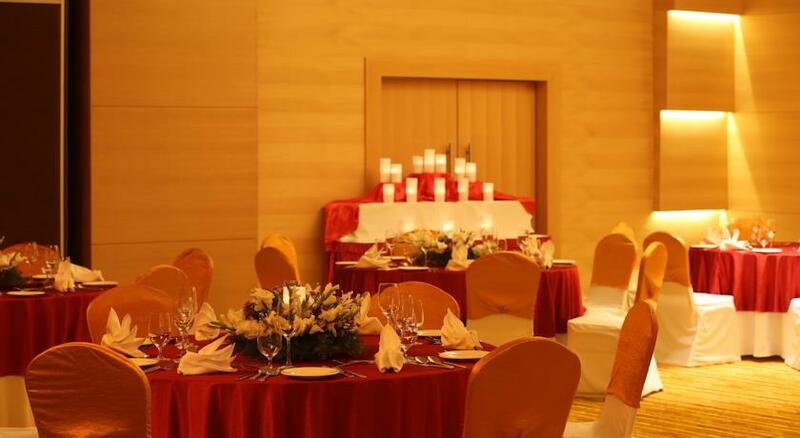 The hotel’s lawns and ballroom are ideal for conducting banquets, parties, weddings and social gatherings. The recreational facilities incorporate kids’ play area, outdoor swimming pool with children’s pool, spa, salon, souvenir shop and a state-of-the-art fitness center. Guests can indulge in sightseeing around the city with places like Mysore Palace, Brindavan Gardens, Mysore Zoo, Ranganathittu Bird Sanctuary, Jagan Mohan Art Gallery, St. Philomena’s Church, Jayachamarajendra Art Gallery and Rail Museum located in close proximity to the hotel. Size – 276 sq. 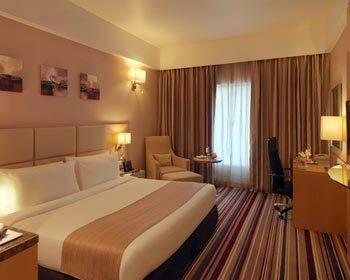 ft.
Tastefully designed and gracefully decorated, these rooms are furnished with king size or twin beds. The amenities include 32 inch LCD satellite TV, individually controlled air conditioning, 24 hour in room dining, tea / coffee maker, mini bar (surcharge), well appointed work station, international direct dialing on phone, in room iron and ironing board, hair dryer and electronic safe. The complimentary facilities include buffet breakfast at Mosaic, Wi-Fi connectivity and daily newspaper. The private bath is appointed with a shower cubicle and complimentary bath amenities. 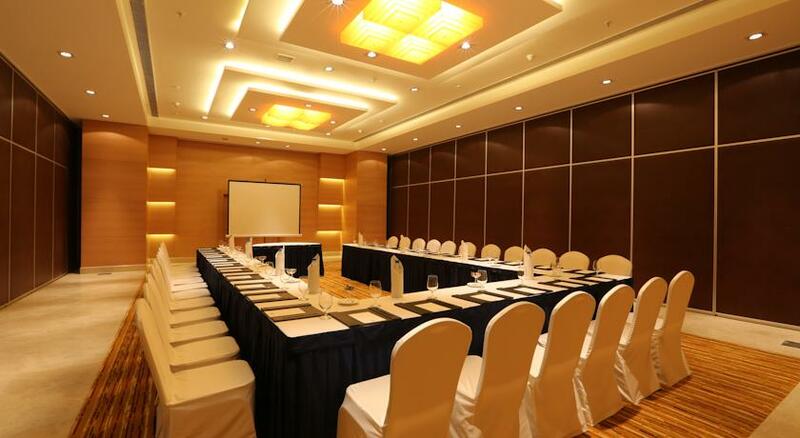 Located on the topmost floor, the Club Rooms are lavish and offer a comfortable stay. The rooms are replete with modern facilities such as individually controlled air conditioning, 32 inch LCD satellite TV, international direct dialing, complimentary buffet breakfast at Mosaic, in room tea / coffee maker, iron and ironing board, hair dryer, 24 hour in room dining, electronic safety deposit box, well appointed work station, mini bar (surcharge), complimentary Wi-Fi access and round the clock room service. The rooms have attached baths that have elegant fittings, shower cubicles and bath accessories. These rooms offer an added privilege of accessibility to the Club Lounge. Size – 530 sq. ft. The Junior Suites have a separate living room and offer state-of-the-art amenities like king sized bed, international direct dialing, individually controlled air conditioning, complimentary buffet breakfast at Mosaic, 32 inch LCD satellite TV, DVD player (on request), electronic safe, tea / coffee maker, complimentary Wi-Fi connectivity, well appointed work station, hair dryer, powder room, iron and ironing board, mini bar (surcharge), complimentary access to the Club Lounge and 24 hour in room dining. The connected bathrooms are well equipped with a bathtub, shower cubicle and bath essentials. Round the clock room service is provided. Size – 560 sq. ft. Located on the first floor, the Executive Suites boast of private balconies that offer splendid views of the surroundings. 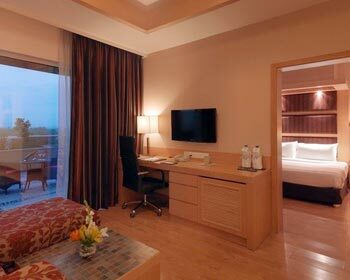 These suites have separate living area, separate luggage room and the bedroom is furnished with king sized beds. The amenities offered in these suites are 32 inch satellite LCD TV, DVD player (on request), international direct dial on phone, complimentary Wi-Fi internet access, individually controlled air conditioning, in room electronic safe, well equipped work station, tea and coffee maker, mini bar (surcharge), hair dryer, iron and ironing board, powder room, complimentary buffet breakfast at Mosaic and daily newspaper. 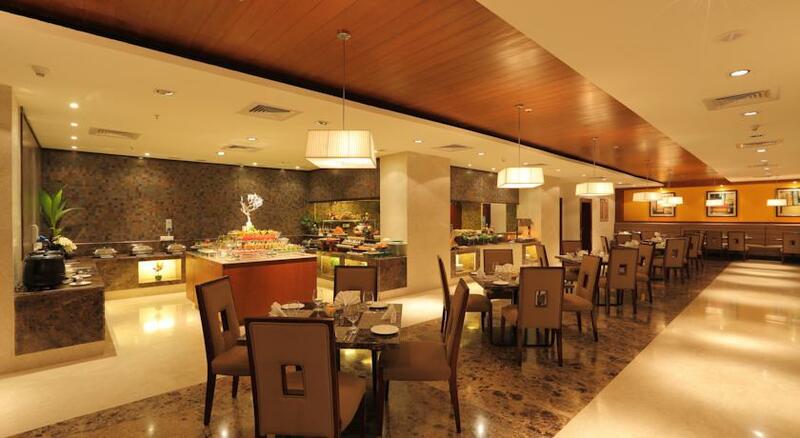 The guests can also enjoy complimentary access to the Club Lounge and round the clock room service is offered. The bathrooms are spacious and well fitted with shower cubicle, bathtub and bath accessories. 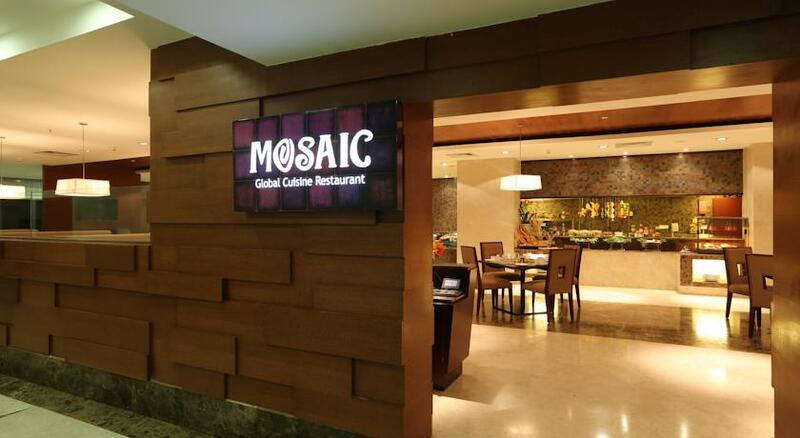 Located on the ground floor, Mosaic is the all day dining restaurant that serves global cuisines for breakfast, lunch and dinner. 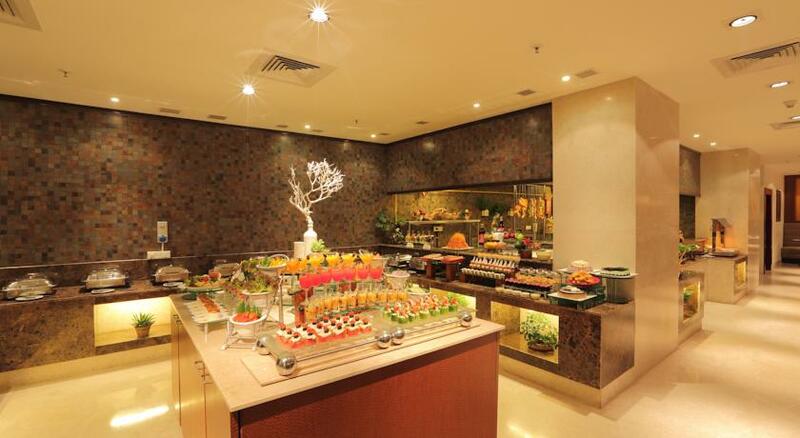 The restaurant features an a la carte menu as well as extensive buffets on the weekends. The Sunday Brunch is exclusive and delightful. Enjoy your meals coupled with your choice of drinks. The restaurant also serves alcoholic as well as non alcoholic beverages to compliment the culinary preparations. 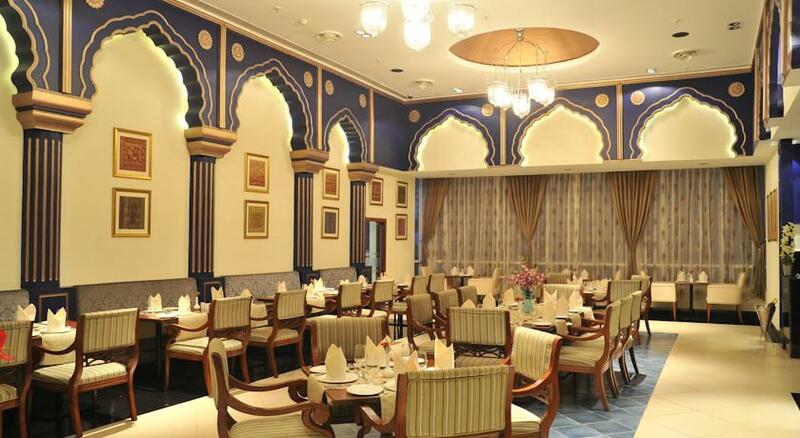 This is the perfect place where one can enjoy the wide array of Indian cuisines. The authentic recipes, aromatic spices and fresh ingredients used in the preparation of delicious curries and kebabs are the perfect trio to an epicurean’s heart. 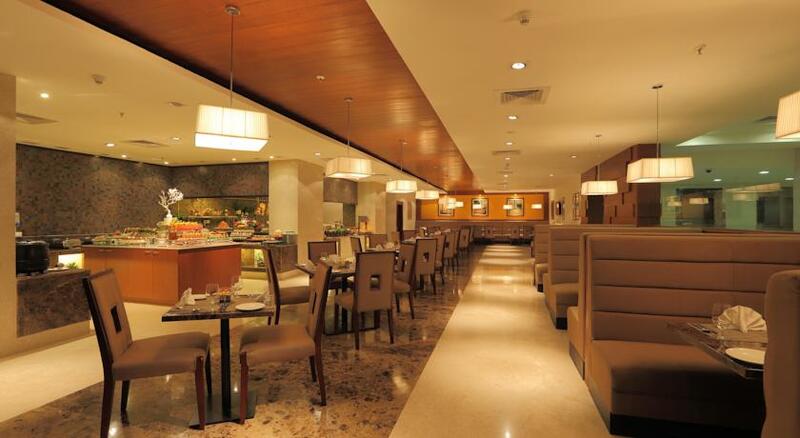 The restaurant is great for family dinners with its excellent food, pleasant ambience and brilliant services. Enjoy your meals by the poolside taking in the beautiful sights around yourself. 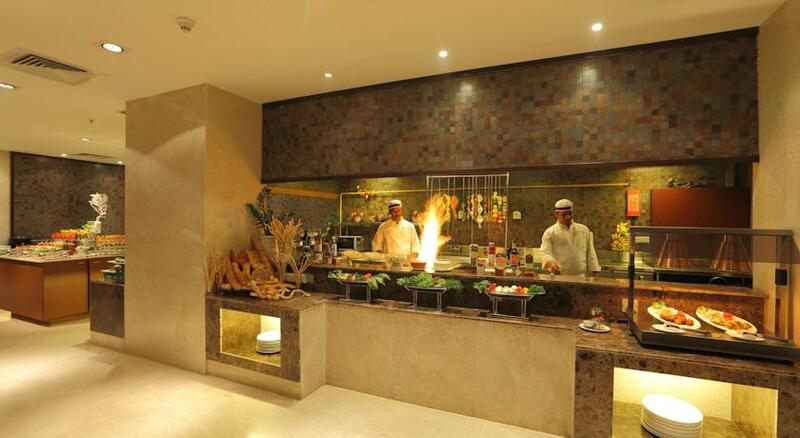 The restaurant serves barbeques, grills and Continental delights as well as alcoholic and non alcoholic beverages. Relish the exquisite cocktail creations by expert bartenders. PB&G provides a superb venue for hosting private parties as well as for an intimate evening dinner with a loved one.